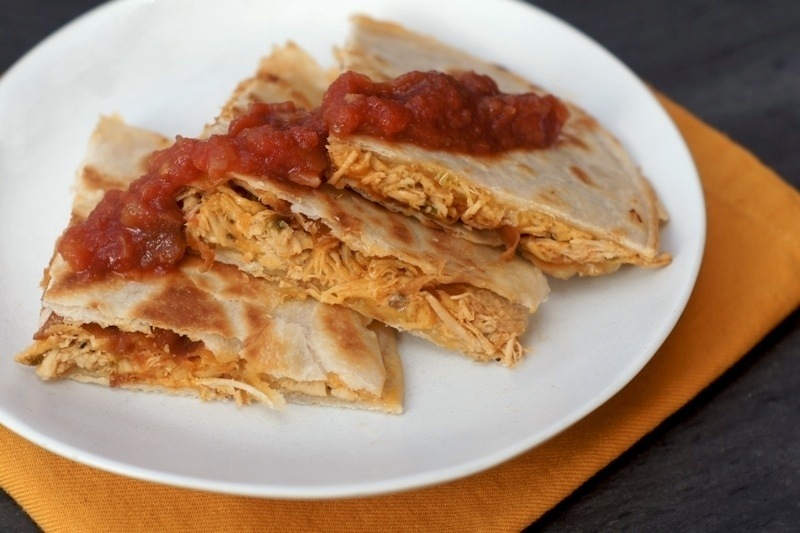 if you read my post on what i made for the first month of my one-new-dinner-a-week challenge, you may have seen that the recipe most requested by my readers was the spicy chicken + caramelized onion quesadillas. i’m not surprised by this, as these were seriously the most delicious quesadillas i’ve ever had. i’m more than happy to share the recipe + hope y’all love ’em as much as we did! why are they so delicious? first, the shredded chicken is wonderfully moist, tender , + packed full of flavor, thanks to the well-seasoned broth that it is cooked in. then, the caramelized onion, garlic + jalapeno mixture is deliciously savory + complex, with just a hint of heat + spice that works perfectly against the flavor of the chicken. add to that a healthy portion of melty, delicious cheese + some warm (ideally homemade) tortillas + you pretty much have the tastiest quesadilla imaginable. one thing i love about quesadillas is how customizable they are. if you want your quesadillas a bit heavier on one ingredient or another, feel free to adapt the recipe to perfectly personalize ’em for you. we added black beans into some of the quesadillas, which turned out deliciously. you could also add in diced tomatoes, a bit of cooked spanish rice, some salsa, or any other flavor that sounds good to you. so, next time you’re looking for a easy, incredibly yummy dinner or appetizer, give these quesadillas a try. i promise that you will not be disappointed! in a medium saucepan, bring oregano, bay leaf, chicken broth, + quartered onion to a boil. add chicken breasts to liquid, reduce heat to medium-low + simmer for about 20-25 minutes until chicken is cooked through, stirring occasionally. meanwhile, heat a medium skillet or pan over medium-low heat. add 1 tablespoon of olive oil to the heated pan, then add the 1 sliced onion. cook the onion, stirring occasionally, until it is caramelized, about 20 minutes. add the chopped jalapenos + garlic to the pan in the last 5 minutes of cooking. set aside. when chicken is cooked through, remove from cooking liquid with a slotted spoon + place into a large bowl. cover, + allow it to rest until it is cool enough to handle, about 15 minutes. reserve the cooking liquid. when chicken is cool enough to handle, shred chicken in the large bowl with two forks. add the chili powder, hot sauce, cayenne pepper, + 1/8 cup of the cooking liquid to the shredded chicken, + mix thoroughly. season with salt + pepper to taste. preheat a warming oven to about 200 degrees. heat a large heavy-bottom skillet or pan to medium-high heat. when the pan is hot, place one full tortilla in the pan. top the tortilla with 1/4 of the chicken mixture, 1/4 of the caramelized onion/jalapeno mixture, + roughly 1/2 cup of the monterey jack cheese. top with another full tortilla. cook the quesadilla about 5-6 minutes, flipping once, until the cheese is melted + the tortilla is golden. transfer the completed quesadilla(s) to a baking sheet in the warming oven while you cook the rest of the quesadillas. when all of the quesadillas are cooked, remove them from the warming oven, cut them into triangles with a pizza cutter, + serve immediately, topping with salsa, sour cream and/or guacamole, if you like. amy! this looks so good. I’m like literally staring at that chicken just oozing out of the quesadilla. I’m such a huge fan of quesadillas and the flavors within this one sound absolutely divine. I will be making this soon — I have huge cravings for mexican all the time! the chicken was soooo good, too. i ate a frightening amount of it straight out of the bowl before making the quesadillas – it’s so full of delicious flavor. i hope these turn out amazing for you when you make ’em! I still need to try making your homemade tortillas…especially for this quesadilla. My husband eats quesadillas like they are going out of style, he would love this! my husband loves quesadillas, too, + was thrilled with these, so they’re husband-approved. =) they’d still be tasty with store-bought quesadillas, but the homemade ones add a little something extra – you should definitely give the homemade tortillas a try, especially now that you have your fabulous new kitchen! i thought of you when i made these — i know how much you love mexican food! =) if not for dinner tonight, you should definitely give ’em a try soon – i think you’ll love ’em! YES!! I was one of those people dying for this recipe. I love the idea to add black beans and spanish rice is a must. Thank you so much for posting this recipe sweet Amy – cannot wait to make this for supper! the ones that we added the black beans into were awesome! we ate ’em so quickly that i didn’t get time to photograph that version. =) i did serve some spanish rice on the side, but thought afterwards that they would be tasty with the rice right in the quesadilla. can’t wait to hear how you + jeff like ’em! They do look absolutely mouthwatering! YUM!! Love the idea that you cook the chicken in a well seasoned broth. It just adds so much flavor. thank you for sharing this delicious recipe. this was the first time i made the chicken this way – normally i’d just buy a rotisserie chicken + season the meat from that. i have to say, cooking it this way, in the seasoned broth, imparts sooo much flavor – so much more than just using a rotisserie chicken + seasoning it afterwards. it’s so wonderfully flavorful + savory! they turned out soooo tasty, caroline! hope that you love ’em if you give ’em a try! yum yum yum nom nom nom – I tried to reach in and grab the plate but the screen got in the way. Yet another delicious recipe by the fearless homemaker!! Oh YUM! I am loving this new challenge of yours! I can’t wait to hear about what other new foods you will be making! And thank you so much for your sweet comment! Sometimes Tuesdays can be worse than Mondays!!! thanks so much, jess! i’ve only been planning the one-new-dinner-a-week a few days before i actually make it each week, so i’m looking forward to seeing what other new meals i’ll be making, too! =) can’t wait to share them with you + everyone else! Yum!! I love recipes with shredded chicken b/c the chicken holds all the delicious flavor you add to it! I wonder if you could do this recipe in a slow cooker? hey kristen, i think you could definitely do this in a slow cooker, although i’m a slow cooker novice so i’m not exactly sure how you’d do it. sorry i can’t be of more help in that department! if you try it in the slow cooker, let me know how it goes – i’m sure my other readers would love to know, too! I’m one of them who are looking for these homemade tortillas. Thanks to you for sharing with us. I would love to give you hug for this one. awww, you’re so very welcome! hope you try them + they turn out great for you! Amy, this looks so delicious. I always make quesadillas on nights when I just don’t feel like cooking or have no idea what I want. yay!!!!! I’m so glad that you posted this recipe (it was my favorite from your first month of resolution dinners). honestly, if I could come up with a way to cook spanish/mexican/ food everynight, I think I would do it. but then eric would most likely kill me since he likes to eat my leftovers! I can’t wait to see what else you have up your sleeve for february’s cooking items! ha! so glad that this was the recipe you most wanted to see – that was definitely the consensus amongst everyone, so i wanted to make sure to get it posted ASAP. =) february’s resolution dinners are already off to an awesome start – can’t wait to share ’em all with you at the end of the month! Believe it or not, I was just thinking about quesadillas earlier today, and how they are a great option for a last minute dinner. This combo sounds divine, and you know me…I like anything spicy Can’t wait to try these out! they’re really tasty, steph – hope you’ll try ’em soon – i think you’ll love ’em! YAY! These look delicious (I love your photos). I’m super happy you posted the recipe. Thanks! you’re so welcome, julie! hope they turn out fabulous for you if you try ’em! I can never get my tortilla’s to stick together well enough to form such perfect looking Quesadillas! They always seem to fall apart. Maybe I just need more cheese? In any case, I’d definitely give them a shot again with this recipe! You had me at caramelized onions… you had me at caramelized onions *sniff*. Hi Amy!!! I found your blog through Pinterest. My fiance and I are making these quesadillas as I type!!! (the chicken is cooling off) I’m so excited to eat them!! 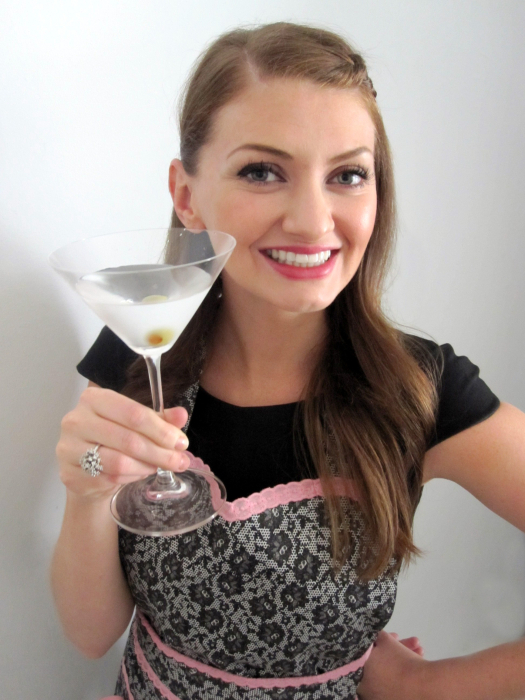 Previous post: month 1 recap – my 2012 cooking goal!